Mini is revealing the shape of things to come at the Auto Shanghai show with a pioneering innovation. "Mini Augmented Vision gives an insight into how intelligent connectivity between a Mini car and eyewear into which relevant content is projected might work in the future,"
said Dr. Jörg Preißinger, Project-Manager Mini Augmented Vision, BMW Group Research and Technology. 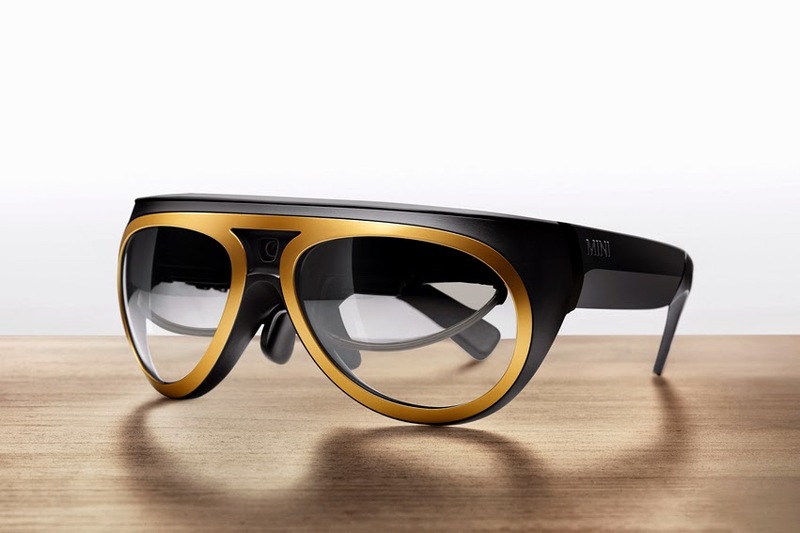 "Working with several Qualcomm companies, we have created an interlinked system and augmented reality eyewear with a characteristic Mini design that revolutionise the experience both in and outside the vehicle. This prototype with its customised, interactive functions succeeds in fusing augmented reality with the brand's trademark sense of lifestyle." Using see-through technology, the AR eyewear shows relevant information in the driver's direct field of vision but without concealing other road users, thereby serving to increase safety and comfort while driving. "We are proud to have helped develop a breakthrough augmented reality interface between eyewear and the automobile," said Jay Wright, Vice-President, Qualcomm Connected Experiences, Inc. "Mini Augmented Vision offers a compelling example of whats possible today, and what we can expect in the future."